There’s a saying which goes, ‘There’s nothing sweeter than success’ and it couldn’t be more true in Ravi Teja’s case. After a string of flops, he finally tasted success with Balupu and it’s quite visible on his face. His new found confidence was the main highlight at the success meet of Balupu earlier today in Hyderabad. Over the past couple of years, although Ravi Teja had been doing films back to back, he rarely ever met the press or spoke about his film, but the success of Balupu seems to have changed all that. Directed by Gopichand Malineni, the film had Ravi Teja, Shruti Haasan and Anjali in lead roles. Prasad V Potluri had produced it under PVP Cinema banner. S S Thaman had scored the music. 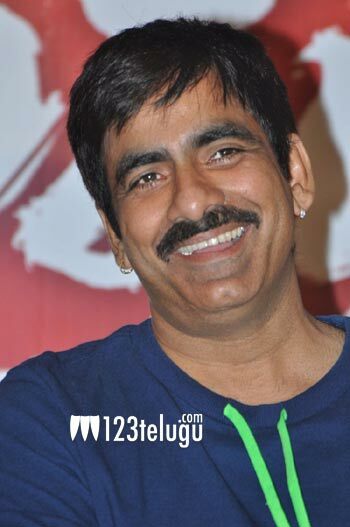 After Balupu, Ravi Teja is in talks with K S Ravindra (Bobby), one of the writers of Balupu, for an untitled film which might go on floors later this year.